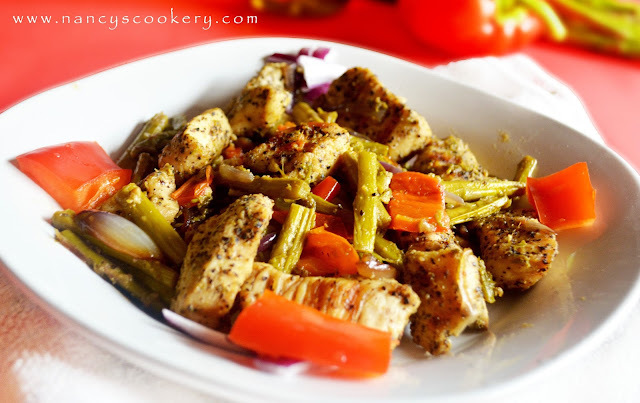 Asparagus and Grilled Chicken Recipe is a fat free recipe. 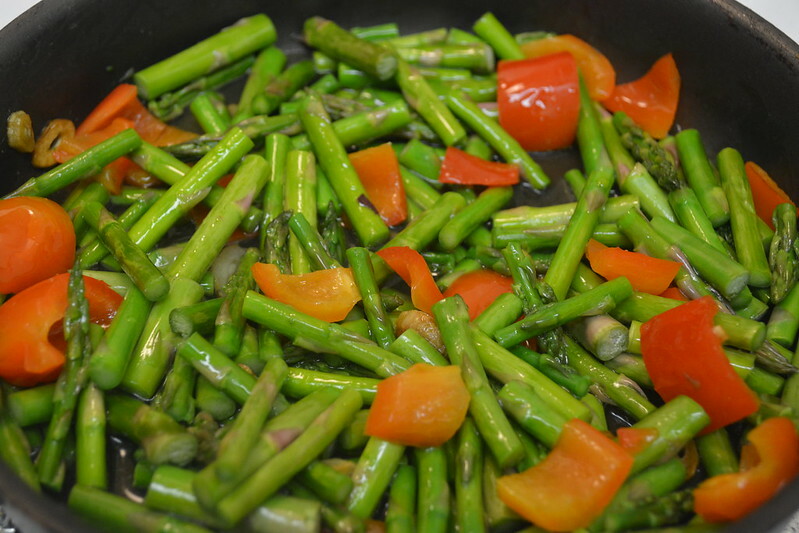 Asparagus is good for heart health and blood sugar regulation. 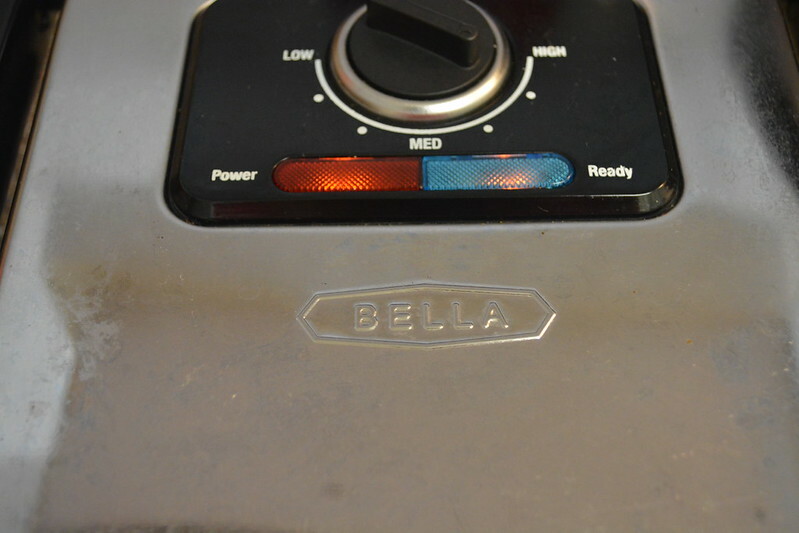 It is rich in antioxidants and folates. 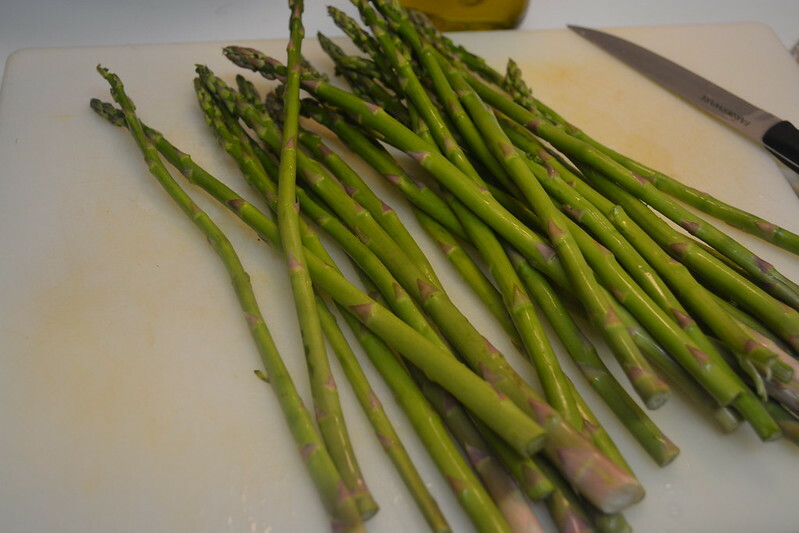 Asparagus is also good for digestion. 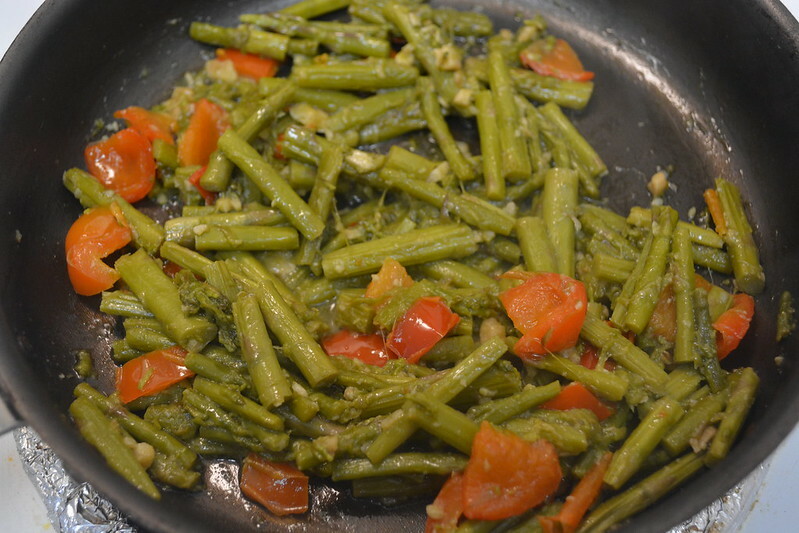 I never tried asparagus before. 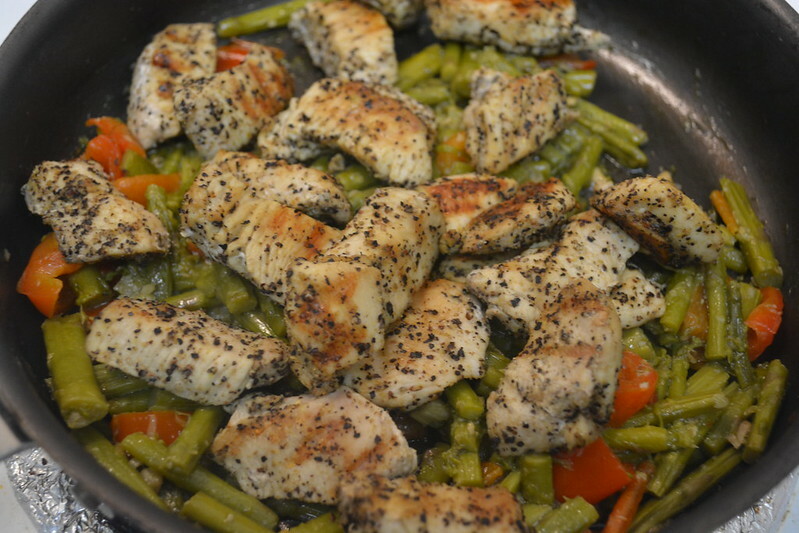 But when I did this Asparagus and Grilled Chicken Recipe, it tasted good and we liked it. 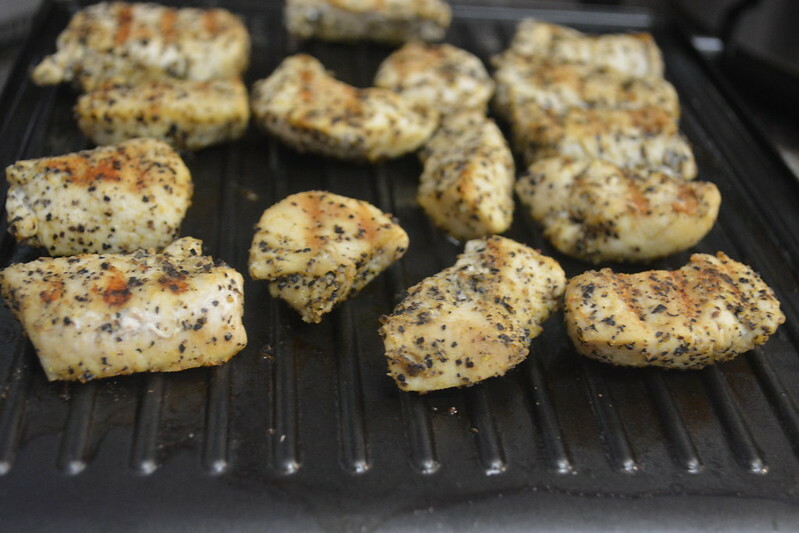 The reason we are using grilled chicken in this recipe is to reduce fat. 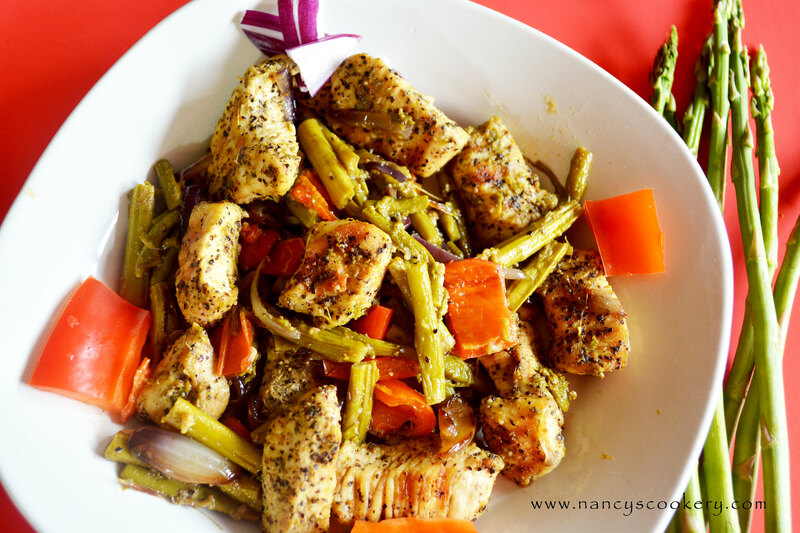 If you are searching for fat free recipe, you can try this Asparagus and Grilled Chicken Recipe. 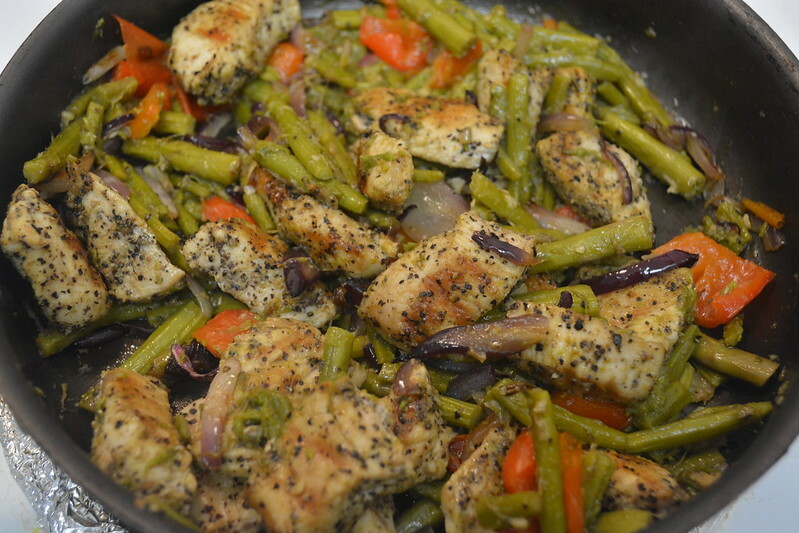 I have also used Olive oil in this recipe. Olive oil contains monounsaturated fat which is good fat and it has lower level of bad cholesterol. 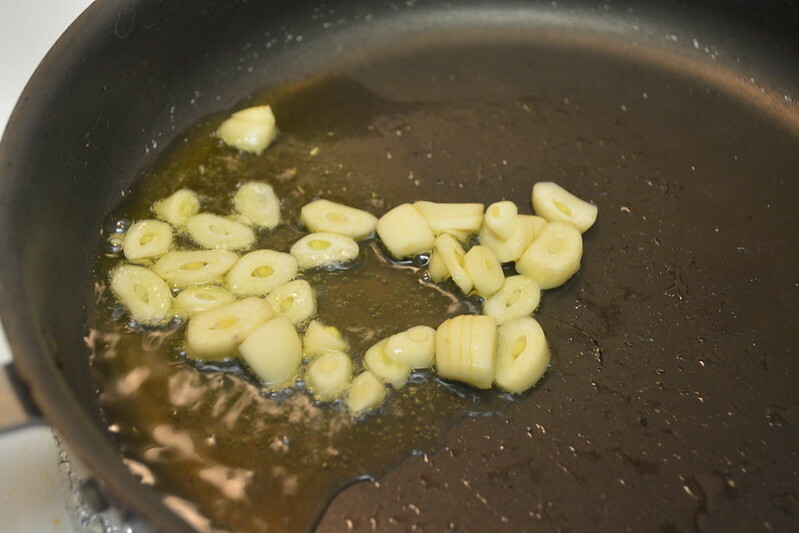 Olive Oil - 2 to 3 tsp. 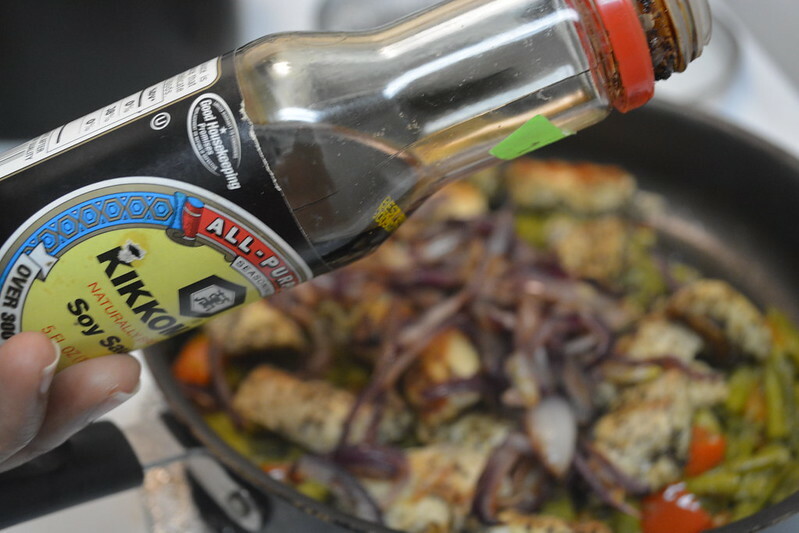 Soy Sauce - 1 to 2 tsp. 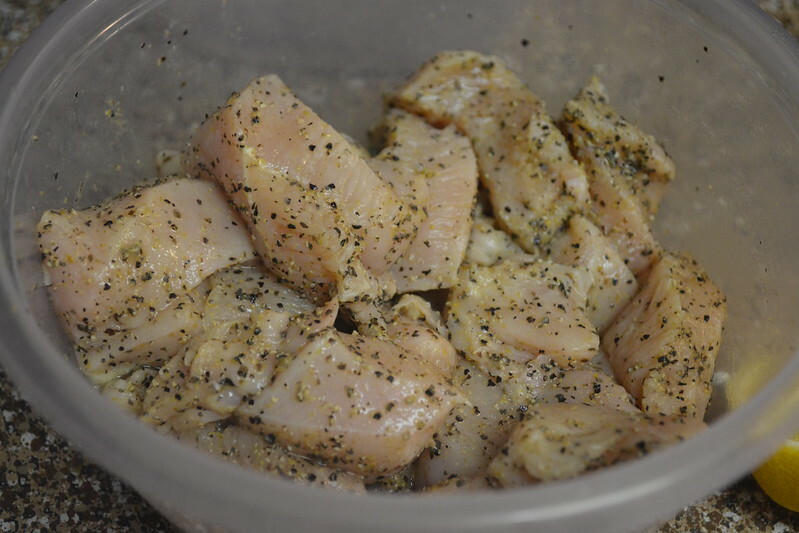 Pepper Powder - 1 tsp. 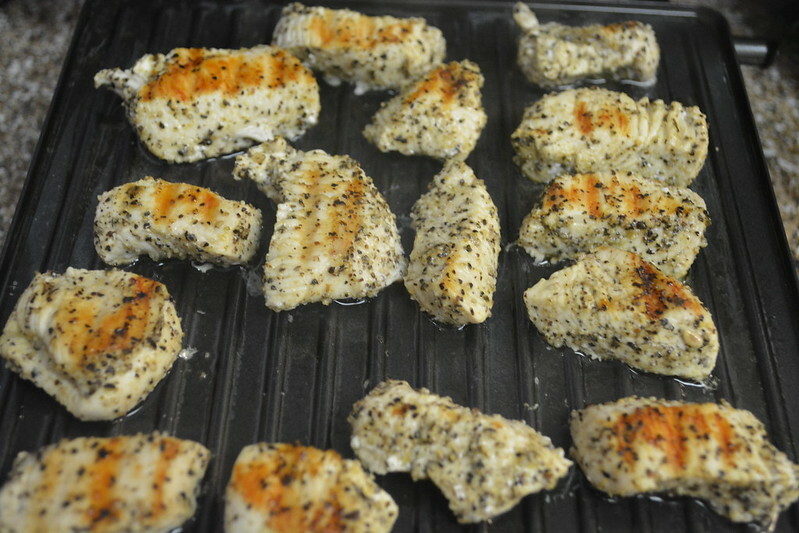 After some time turn the chicken and when it is completely cooked, take off from the grill. 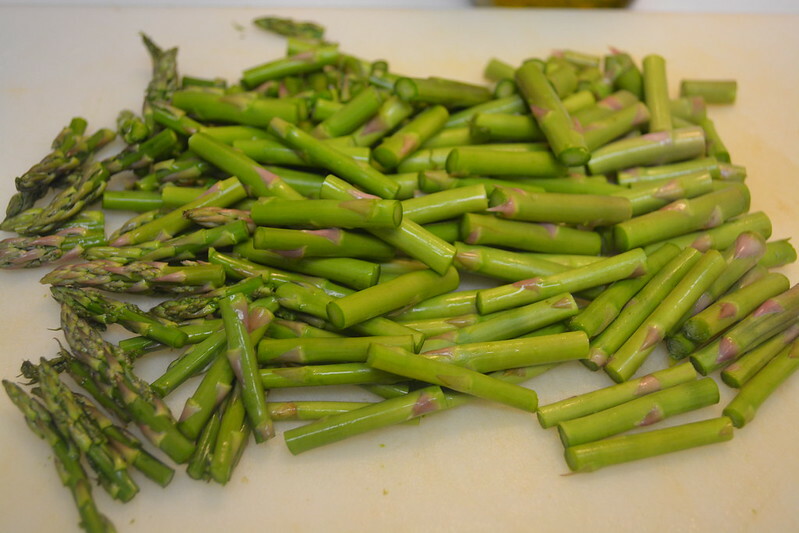 While the chicken is in the grill wash the asparagus, trim the white stalk and chop it in medium pieces. 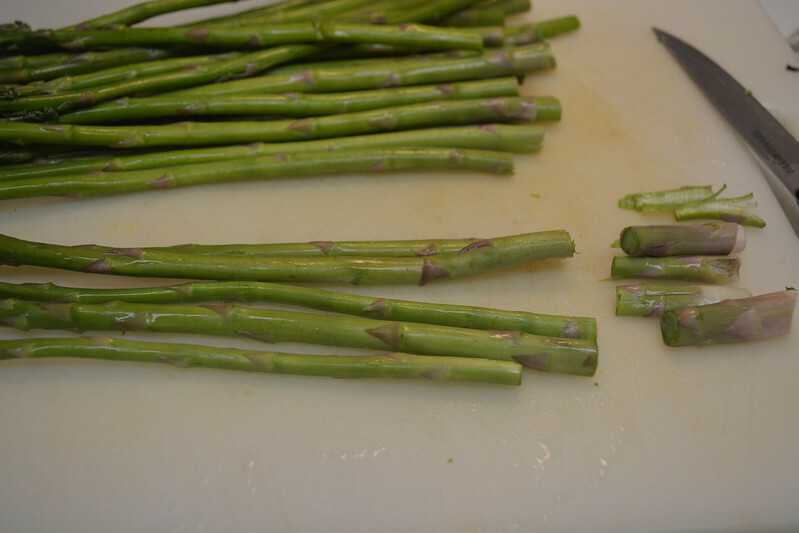 You can also peel the skin of lower part of asparagus. 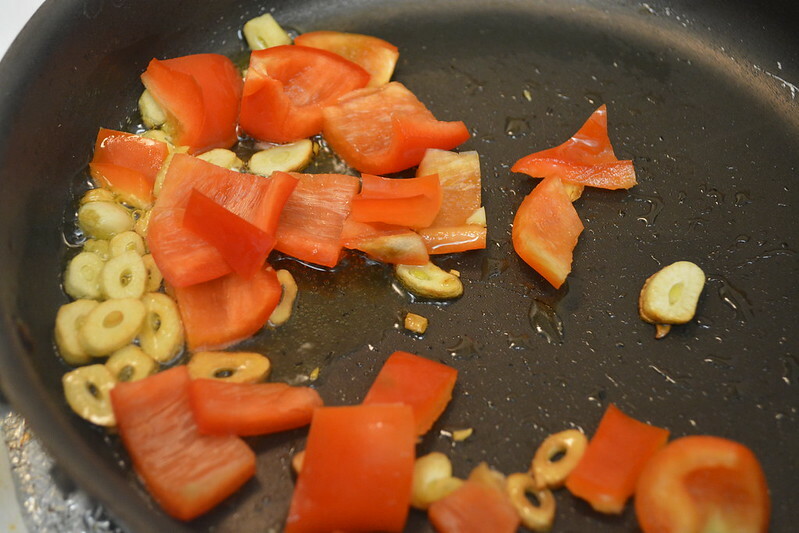 Heat oil in a pan and add oil, then add garlic and saute it for a minute and add red bell pepper. 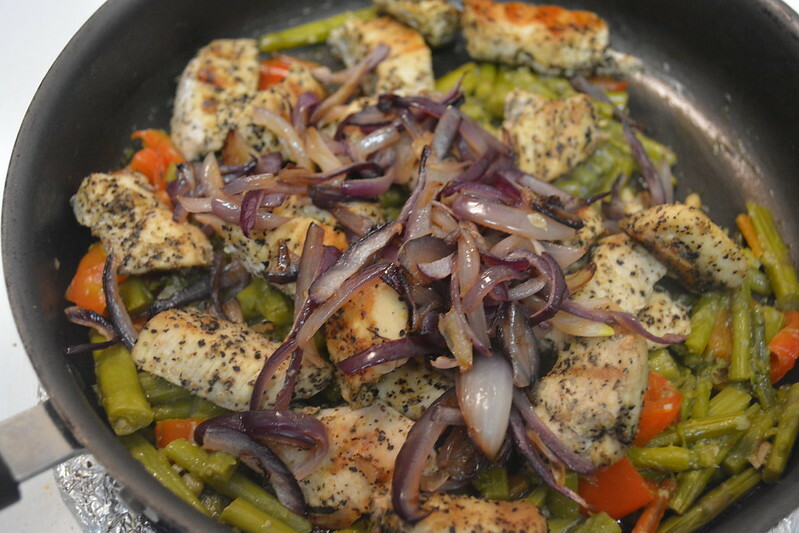 Saute it for a minute and then add chopped asparagus. 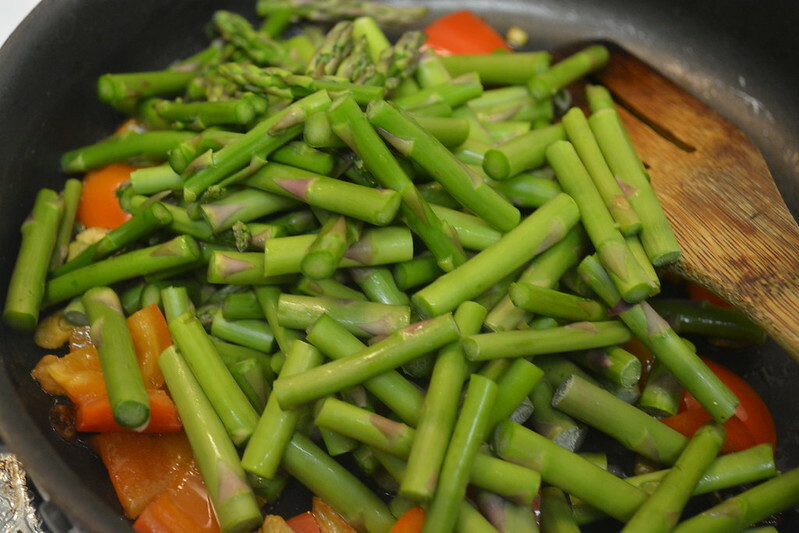 Saute the asparagus, add some water, salt and cook it covered. 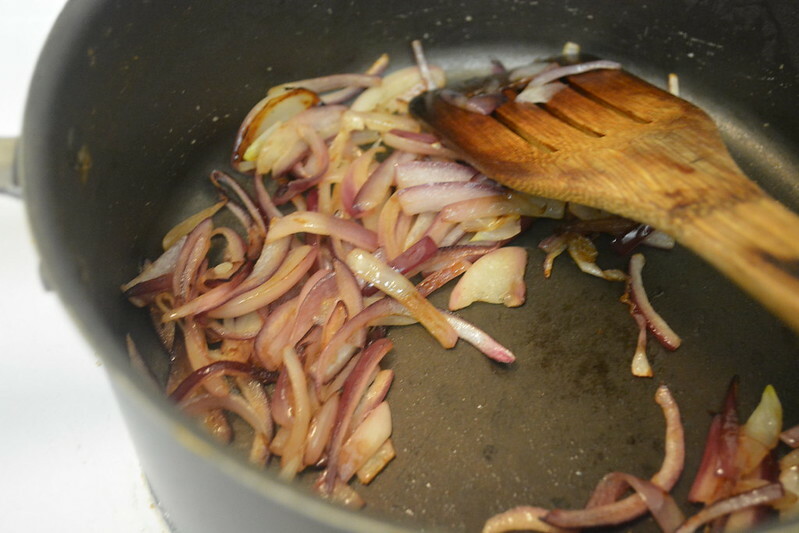 Meanwhile add oil in a pan and saute the chopped onion until it is golden brown. 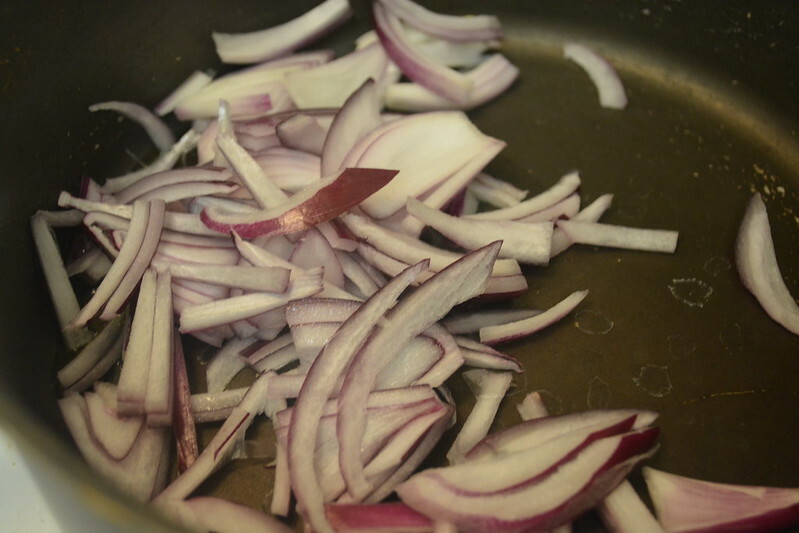 We add this onion in the end. 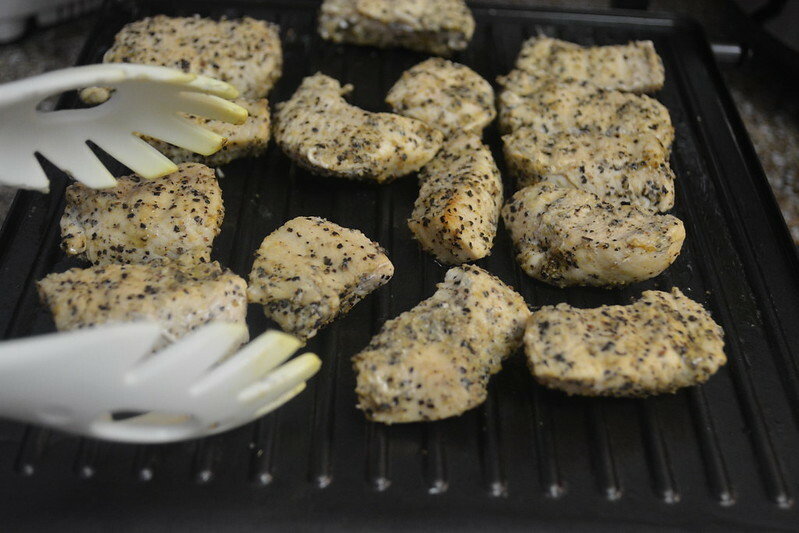 Now add the soy sauce, stir it well and switch off the heat. 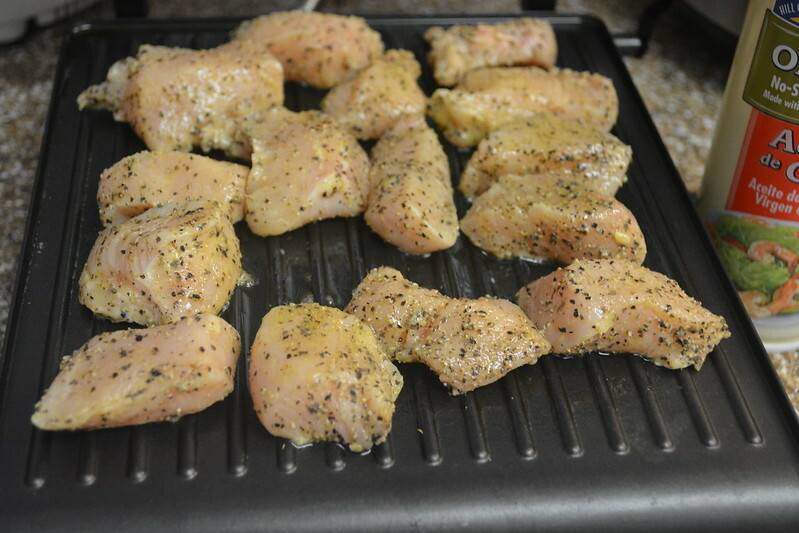 TopElectricGriddles.com is the right place to look for high quality electric griddles, and you may also visit this site to know the right technique of cleaning griddle soon after cooking food.